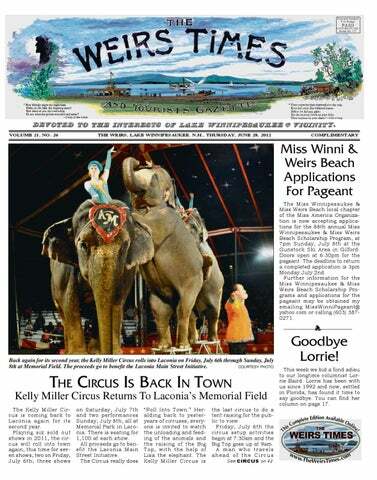 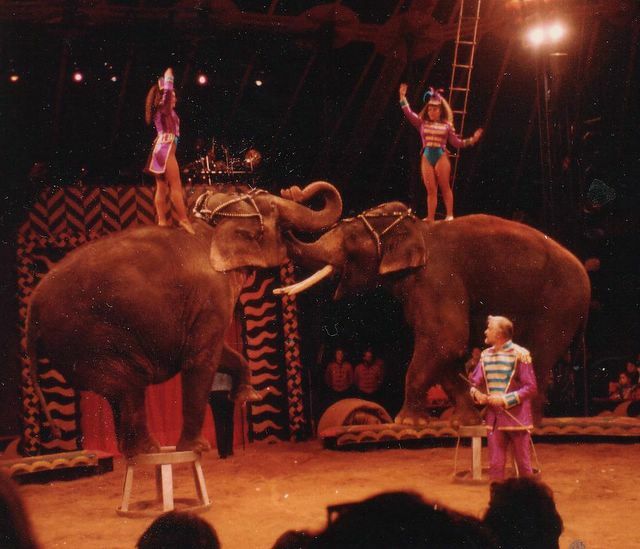 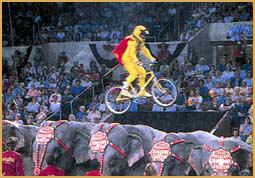 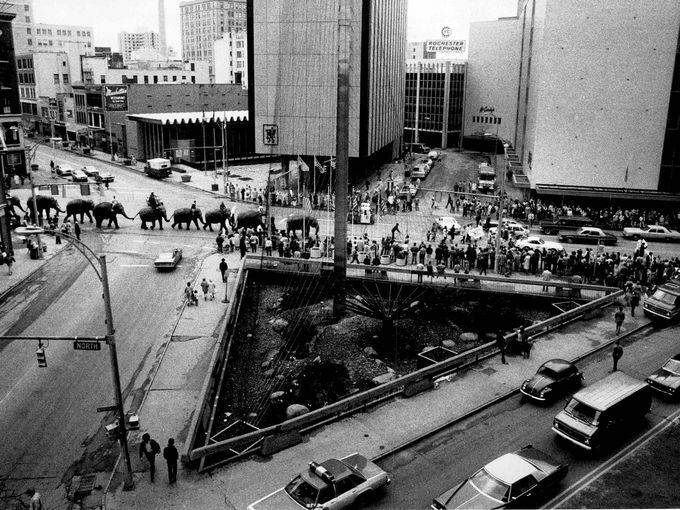 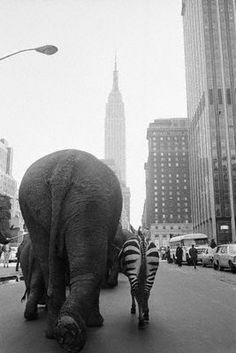 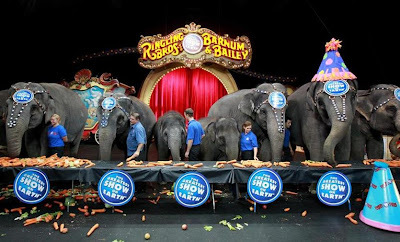 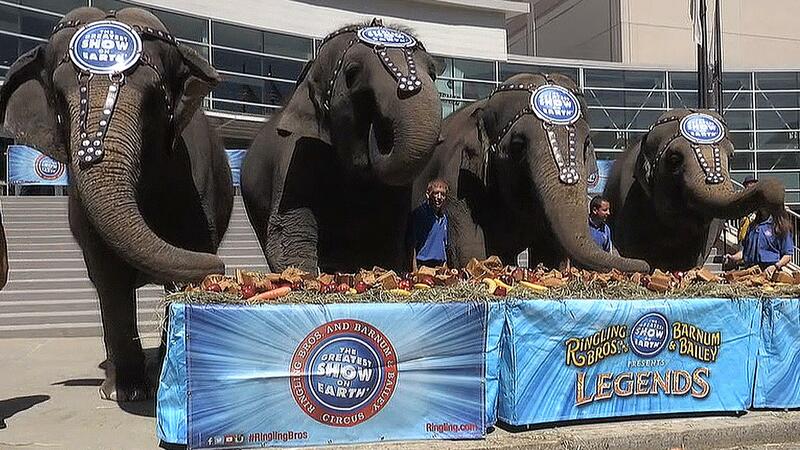 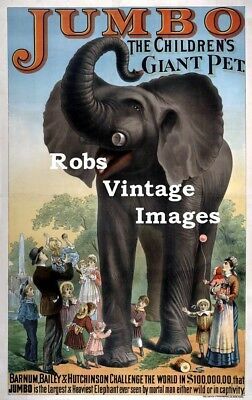 This 1980 photo shows elephants from Ringling Bros. 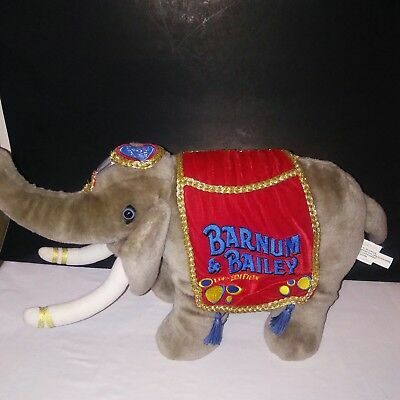 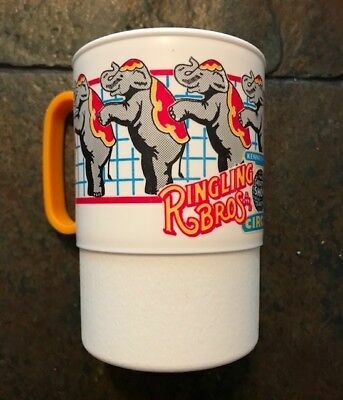 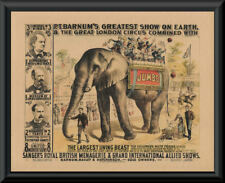 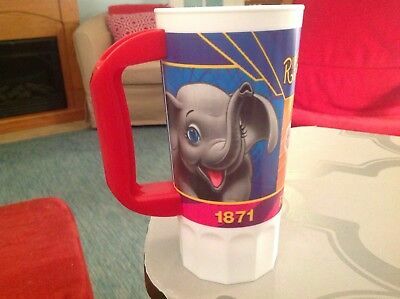 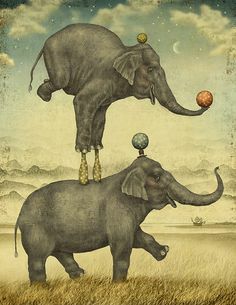 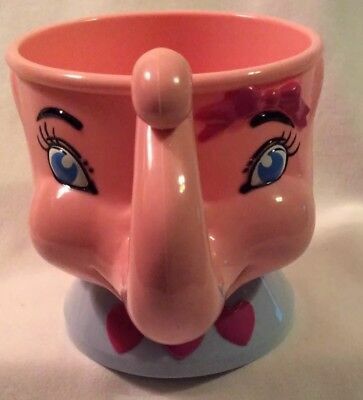 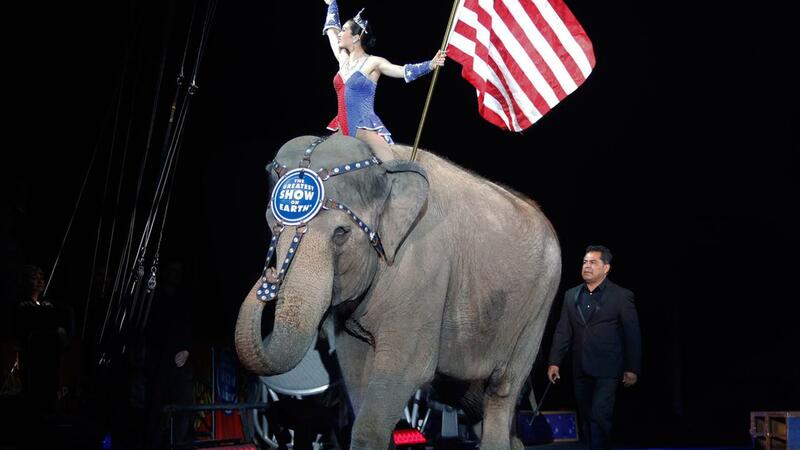 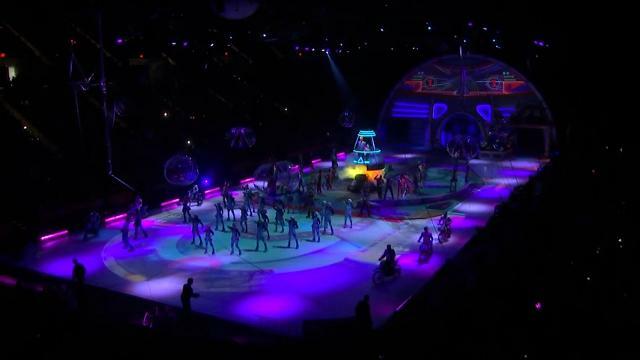 THE GREATEST SHOW ON EARTH CIRCUS ELEPHANT CUP MUG BARNUM BAILEY RINGLING BROS. 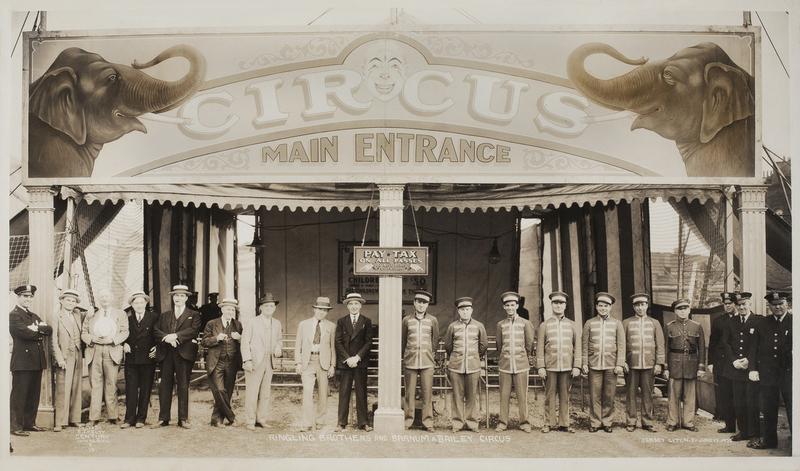 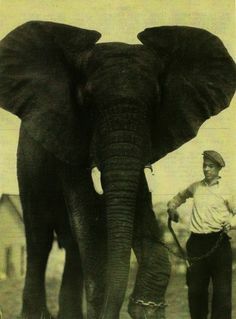 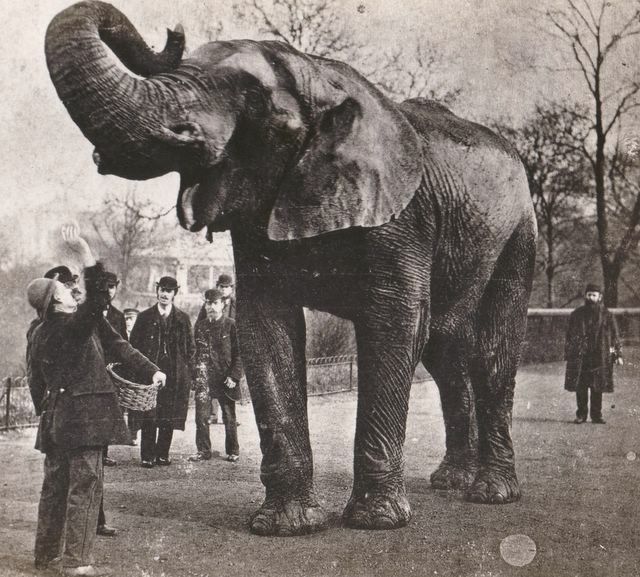 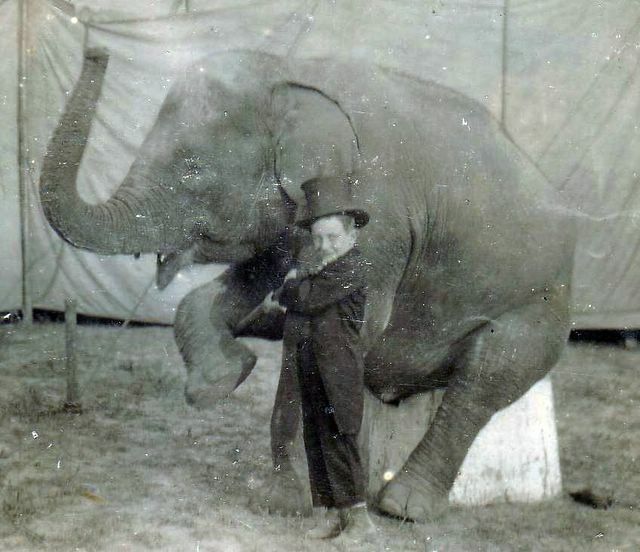 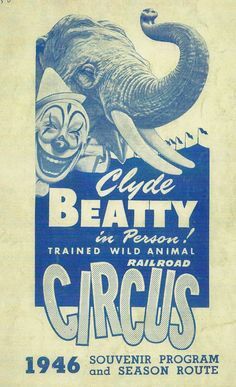 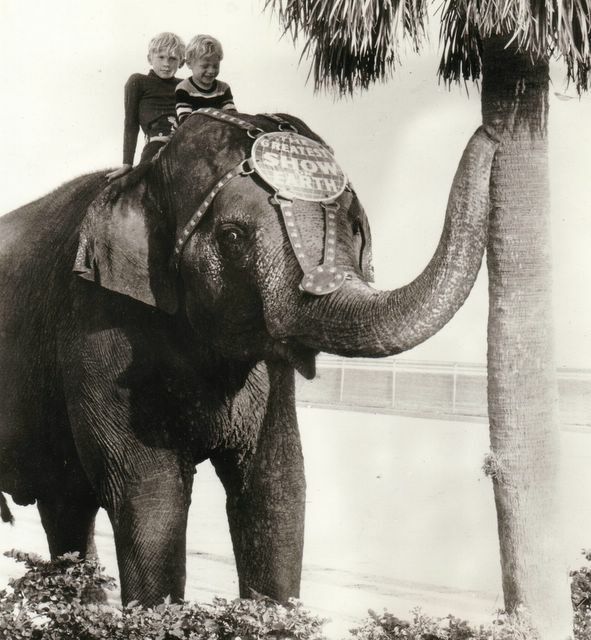 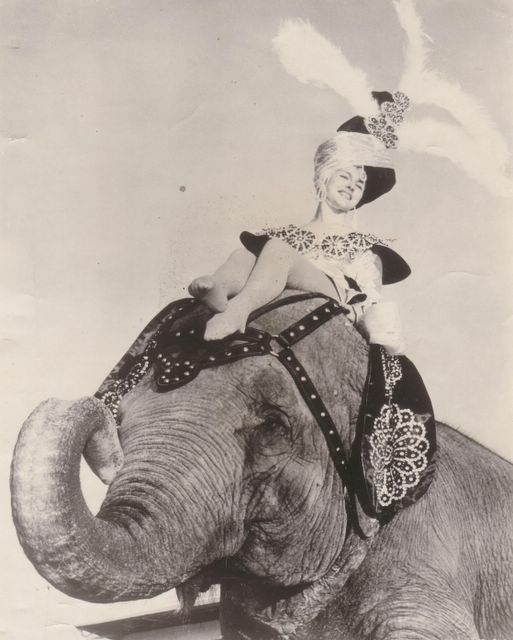 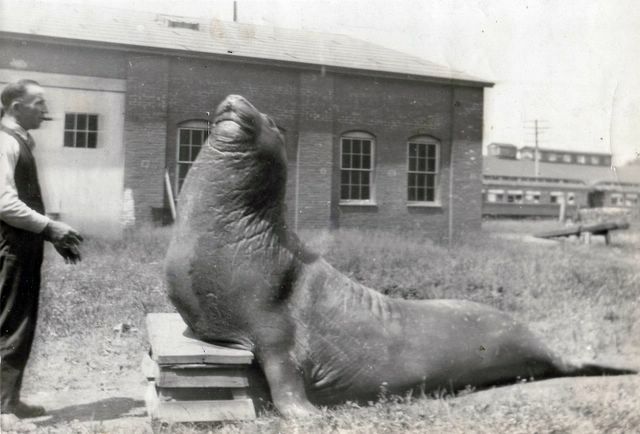 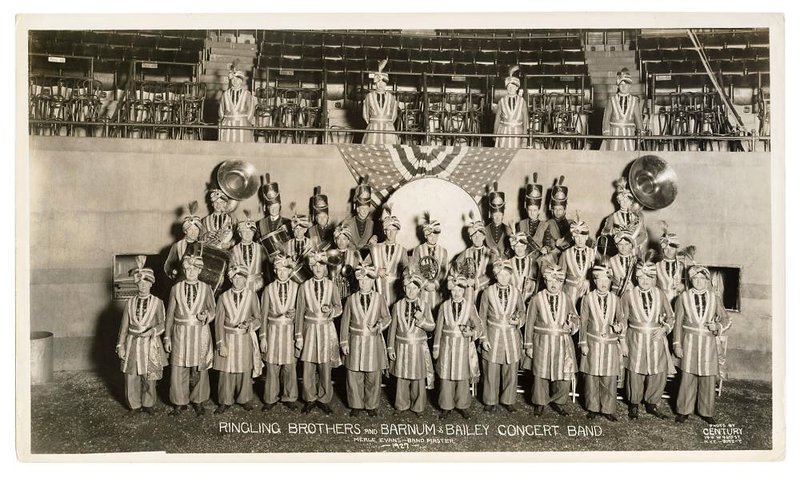 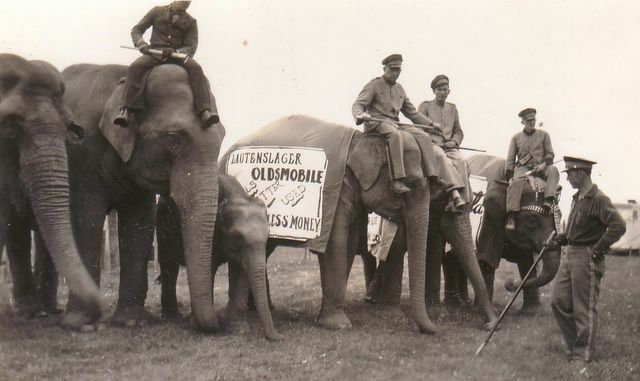 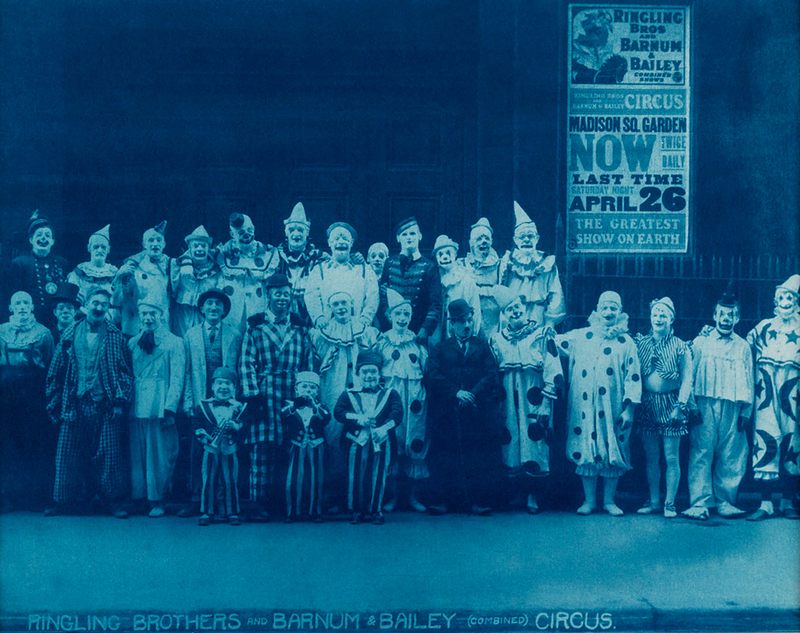 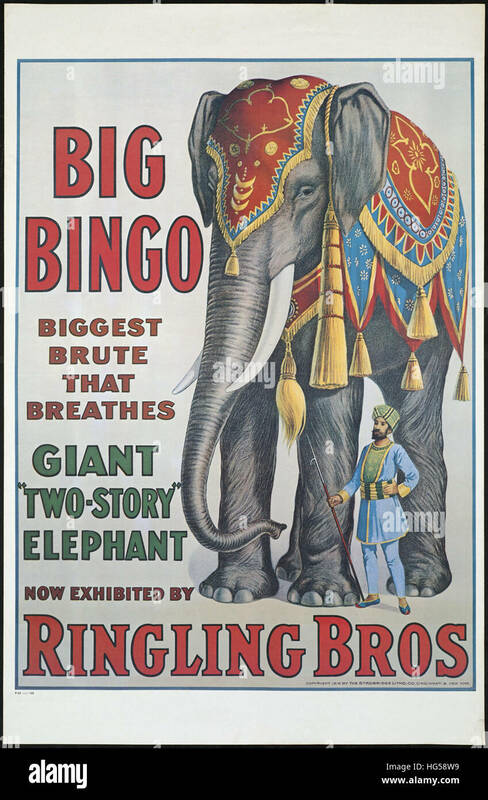 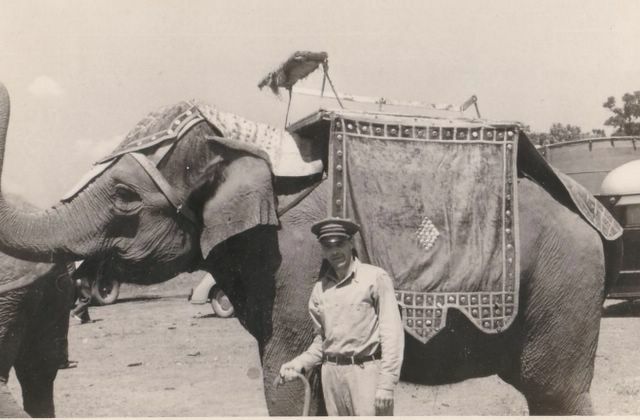 This photo of Jumbo II was taken in in 1935 at the Cole Bros, Clyde Beatty Circus winter quarters Rochester, Indiana. 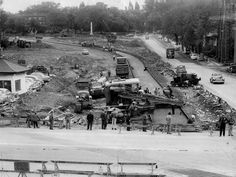 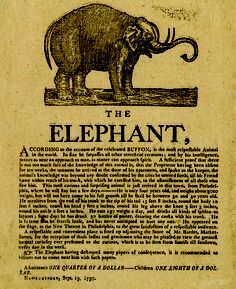 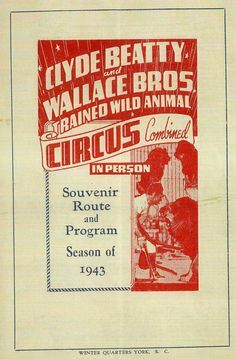 Information and photo courtesy of Chuck Finley. 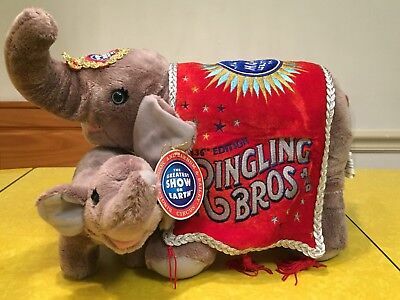 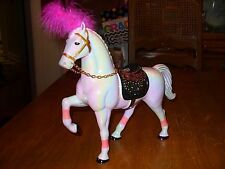 Big Apple Circus/ "Peggy" and "Toto"
(4) Ringling Bros Barnum & Bailey Circus Collectible Patches Discontinued NEW! 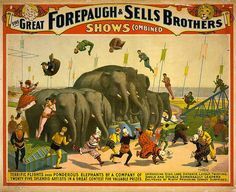 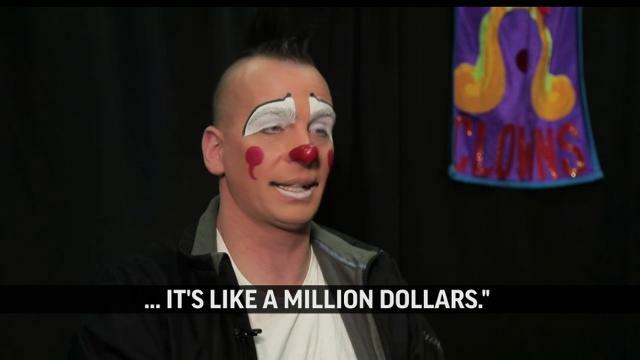 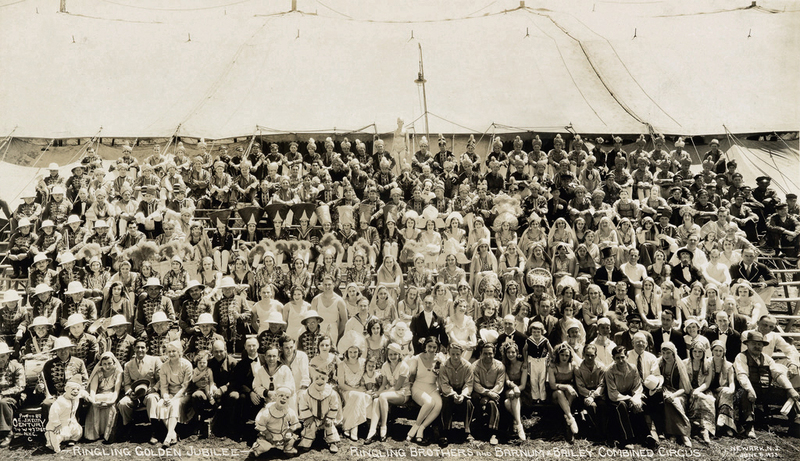 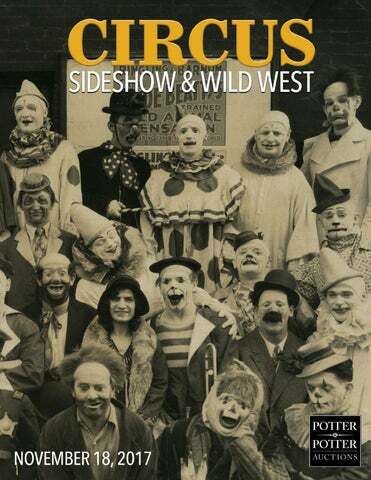 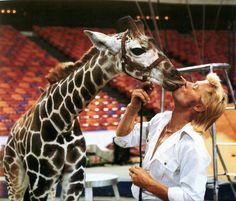 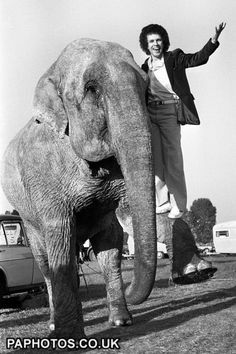 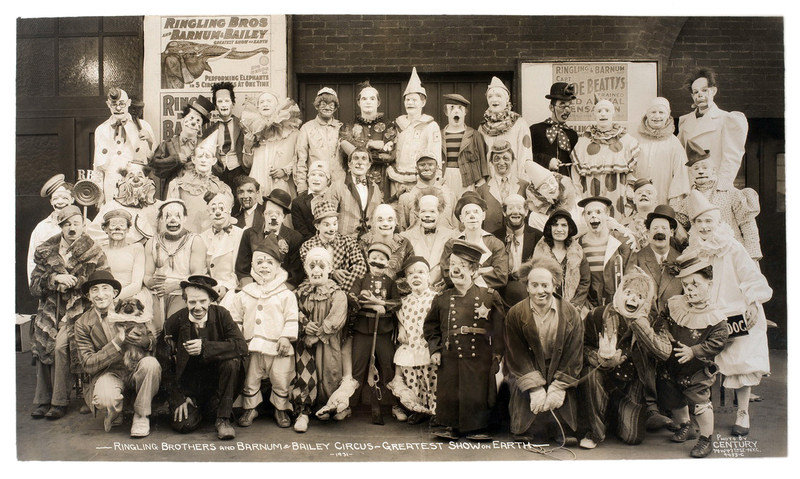 Circus people now in the carnival business: Jack Lancaster, former clown with Forepaugh-Sells Show, late of motion pictures, now with Washburn's Shows. 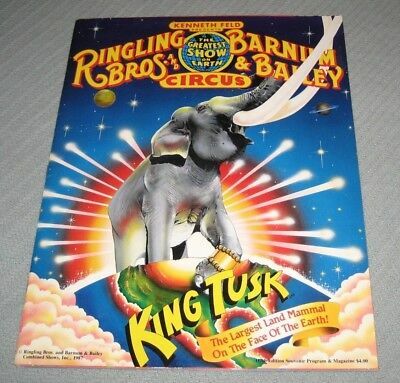 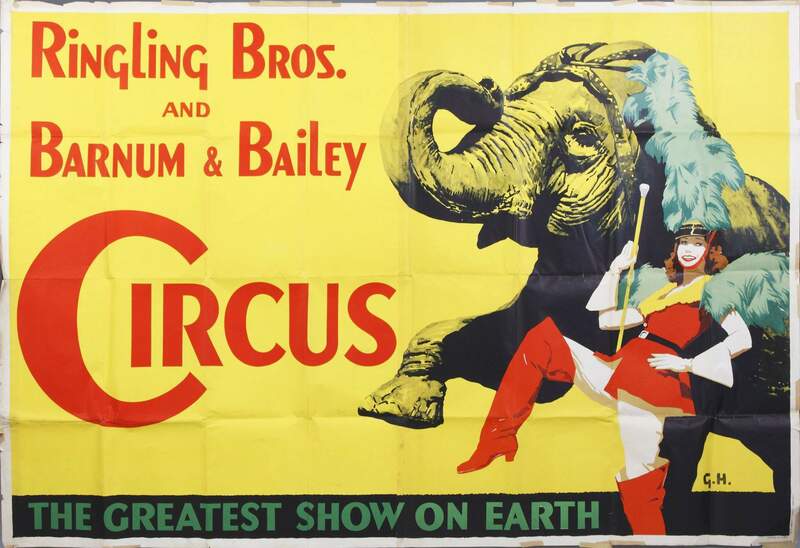 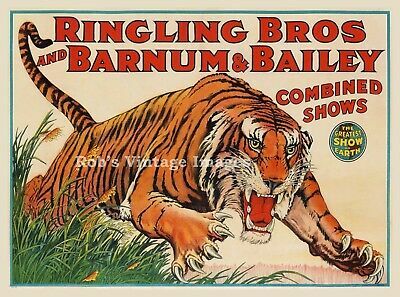 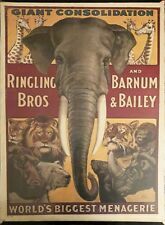 Vintage Authentic Ringling Bros. Barnum & Bailey Circus Tiger Poster. 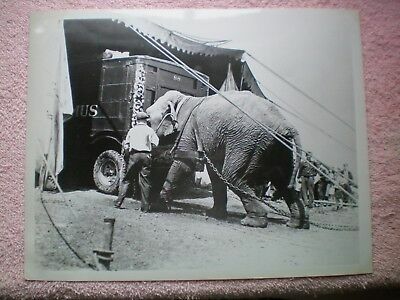 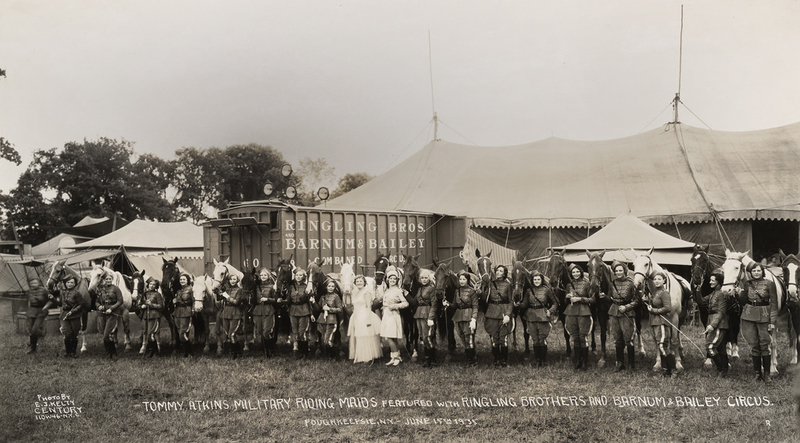 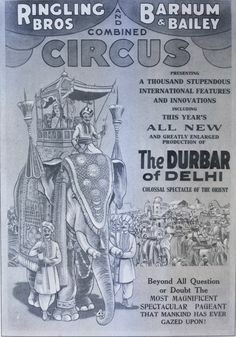 Ringling Bros. and Barnum & Bailey Combined Shows, Nepal, n.d.
Barnum, Bailey & Hutchinson Circus/ "Jumbo"
Michael and Kevin Gautier with "Targa"
Circus 1943/ Bill Woodcock and "Anna May"
This was one of the twelve cages that Bill Yeske and his crew built out of former military ordinance wagons during the winter on 1948/1949.